Oroville, CA -- Assemblyman James Gallagher, Oroville Mayor Linda Dahlmeier, OCESD Superintendent Spencer Holtom and Butte County Schools Superintendent Tim Taylor expressed their passionate support for schools and local communities Thursday night at the Oroville Association of Realtors 20/20 event. The event was held at the Purple Line in downtown Oroville and was an opportunity to meet and greet candidates for local elections as well as hear from the night's featured speakers. 20/20 is an annual event hosted by the Association of Realtors --this year, there was an especially keen focus on schools and strong communities. OCESD Superintendent Holtom shared his commitment to Oroville and said he is focused on moving OCESD from good to great, with special emphasis on literacy. 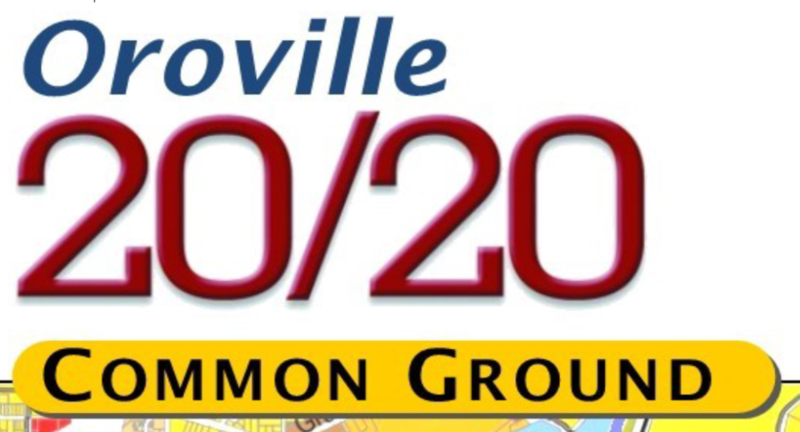 Mayor Dahlmeier spoke of the importance of the local community maintaining a unified, forward-looking vision and shared a little about how she will continue to support Oroville when her term ends this year. BCOE Superintendent Tim Taylor spoke about the importance of early learning, school choice and positive things for students that can come from healthy competition between public charter schools and public school districts in Butte County. Assemblyman Gallagher shared a little about what he is doing at the state level to support career and technical education and strong, resilient families. In closing, Assemblyman Gallagher presented a certificate of special recognition from the California State Assembly to Mayor Dahlmeier and to the Oroville Association of Realtors. Afterward, the panel members answered a few questions from those in attendance. Below: Oroville 20/20 guest speakers listen intently as Assemblyman Gallagher talks about what the state is doing to support career and technical/vocational education. Left to right: BCOE Superintendent Tim Taylor, Oroville Mayor Linda Dahlmeier, Assemblyman James Gallagher and OCESD Superintendent Spencer Holtom.